Welcome to the New Gospel Answers Website! Please excuse our look as we continue to update and upgrade the website. The website is still under construction, but it should be complete within the next few months. During this construction time you may experience weird changes in the form and function of the website. Please be patient as these updates and upgrades take place. Also, if you have any suggestions for improving the website, or would like to see a topic addressed, feel free to send an email using the "contact us" link. These are troubling economic times. People are losing their jobs, homes and are being evicted at an alarming rate. How should Christians respond to such things in the light of Scripture? I would like to offer my take on an actual situation I know of regarding a Talbot School of Theology graduate (M.Div.) student and a former Biola professor. This month (November, 2011), unless the Talbot student wins his unlawful detainer answer case, he will become homeless. Why? Because like many people, he ran into financial hardship and could not afford his rent. The owner of the house, a former Biola professor, has elected to evict him, despite knowing his hardship situation. What’s even more disturbing is that the house is an “investment property” completely owned by the professor who (to my knowledge) does not owe any mortgage on the property. From what I understand, the Talbot student gave the owner a two-month forewarning that he would soon not be able to pay rent, and then asked to work around his home doing maintenance and repair to “pay” his rent this way instead. To his credit, the owner initially agreed, and everything was fine until a dispute arose. The owner apparently only meant the oral work-for-rent agreement to last for five months. The student was under the impression that the agreement was longer, because the owner never gave the student a specific end date for the agreement. To further complicate matters, the student, uncomfortable with such an important issue only being oral, made up an “addendum” to the written lease outlining what they had agreed upon orally. This addendum had no specific timeframe such as five months, but only stipulated that he would work for rent until he could pay rent in cash after gaining employment. The student gave the addendum to the live-in house manager, himself a former Biola student, to be forwarded to the owner. But the owner never got the addendum because the house manager never sent it to the owner. This is obviously not the student’s fault, but it appears he’s being made to pay for the house manager’s mistake. So for months the renting student worked under the false impression that everyone was in agreement with his written addendum. 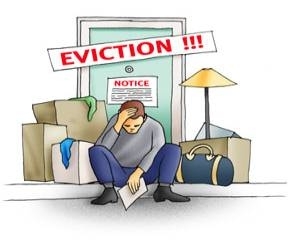 After the student informed the owner of the problem, and pleaded with him not to take the issue to court, he still received an eviction notice. The student's family lives thousands of miles away and have limited funds. He can’t afford to move or find another place to stay, and he faces eviction and homelessness should the judge rule against him in the eviction case. The owner of the home knows all of this but doesn't seem to care. After understanding the whole story, and trying to see both sides objectively, I cannot help but be appalled that such a thing is happening within the Biola community. We are the Bible Institute of Los Angeles, where we are supposed to cherish and follow the Bible. Jesus said in John 13:35, “By this all will know that you are My disciples, if you have love for one another." How is “love” being shown to a brother (or sister) in Christ, who is obviously struggling and in need, by evicting him (or her) in a time of trouble? If I were an unbeliever, this would turn me off to the idea of becoming a Christian because it seems Christians don’t show the Biblical kind of love to one another that they are supposed to. 1 John 3:16-18 teaches that we should love each other as Christ loved us, laying down our lives for each other and loving with our actions and not just our words. Now it is obvious that this Talbot student is “poor” and in need. Interestingly enough, in the Bible the word “poor” occurs 205 in 197 verses in the KJV, 201 times in 194 verses in the NKJV, and 177 times in 172 verses of the NIV. Most of these are admonitions to help the poor and needy. Proverbs 19:17 says, “He who has pity on the poor lends to the LORD, and He will pay back what he has given.” Proverbs 14:31 also says, “He who oppresses the poor reproaches his Maker, but he who honors Him has mercy on the needy.” So God has a heart for those in need, and so should we as Christians. My final point comes from Matthew 25:40. Jesus said that what people do to His brothers (believers), they have done to Him. So you can’t separate doing something to a believer from doing it to Christ. So my question is, if we would never evict Jesus were He standing before us in the flesh, why would we ever do the same thing to His brothers? As James, the brother of our Lord, would say, “These things ought not to be so.” We as Christians need to do better than this. We cannot be an effective witness to the "world" if we cannot do better than unbelievers in these matters. So I’m appealing to the Biola community, and all Christians of good conscience, to pray for those involved, and if anyone wishes to help this student, please feel free to contact me at adan700@aol.com. Arthur Daniels, Jr. holds a Th.B., B.S. and is presently working on an M.Div. degree at Talbot School of Theology in La Mirada, CA. He has been studying atheism and unbelief for over 15 years and has written an exhaustive work refuting atheism and unbelief aptly entitled "If God Heals Your Eyes, Don't Cut Off Your Head." He regularly challenges and debates atheists, agnostics, unbelievers, and cult groups over Internet forums such as YouTube, Facebook, Paltalk, and more recently on KKLA 99.5 Apologetics.com.